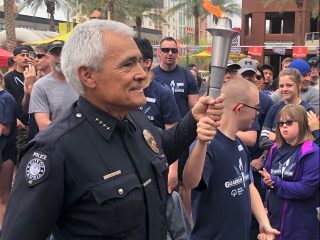 U-Haul is continuing its partnership with Phoenix International Raceway and is preparing to share tips for safe propane use and safe trailering with the thousands of racing fans who will fill the PIR campgrounds for this weekend’s NASCAR events. 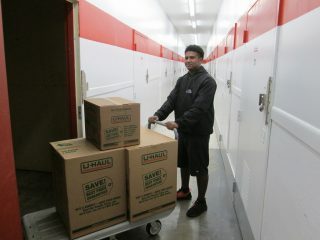 U-Haul International, Inc., the industry leader in do-it-yourself moving and self-storage, will be on site dispensing propane from 8 a.m.-6 p.m. today through March 14 for a special discounted rate of $2.29 per gallon at its activation area next to the Safeway® grocery. Complimentary cylinder pick-up and delivery is available within the campgrounds to fans who contact U-Haul propane at (888) 867-2800. 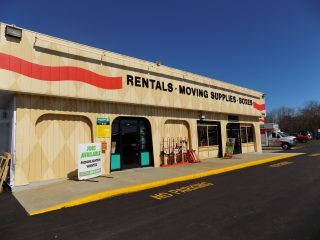 Visit uhaul.com/pir for more information. 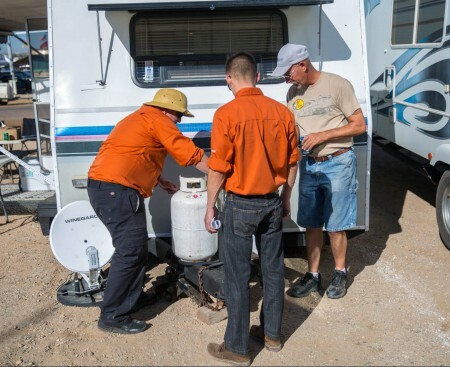 U-Haul Team Members assist a customer with his propane cylinder at Phoenix International Raceway. 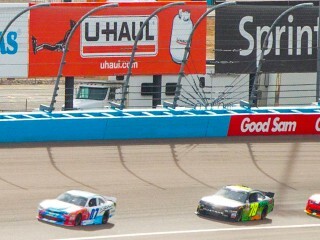 As the Official Propane and Trailer Provider of PIR, U-Haul will expand its initiative from the 2015 fall NASCAR weekend by reaching out to more fans with its safety message. 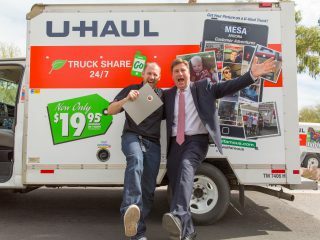 U-Haul Team Members, wearing easily identifiable orange shirts, will be visiting the campgrounds daily to offer safety tips and complimentary checks of cylinders and hoses to avoid any leaks or hazards. 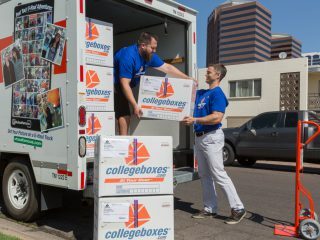 U-Haul will offer the same services April 1-3 during the Phoenix Grand Prix weekend, which marks IndyCar’s long-awaited return to PIR. 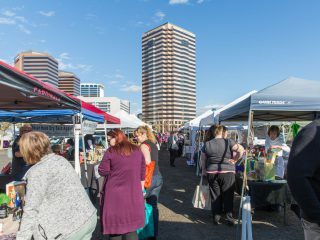 The grand prix will take place the night of April 2. The fan-centric U-Haul activation area will feature a safe trailering simulator, a favorite exhibit among adults and children. A one-tenth scaled vehicle on a treadmill base offers the physical representation of a trailer with a movable weight creating a center of gravity. It is designed to reflect the importance of loading a trailer heavier in the front for stability. As weight is shifted to the back and speed is increased or decreased, the trailer becomes more susceptible to sway. 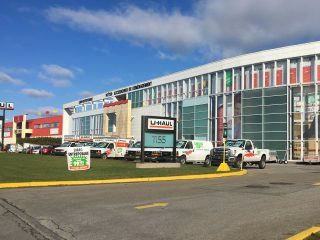 U-Haul trailering experts are available to perform free towing inspections in addition to all of the propane services offered. The racing this weekend gets underway with the Axalta Faster. Tougher. Brighter. 200, NASCAR Xfinity Series race at 1 p.m. Saturday. The Good Sam 500, NASCAR’s fourth Sprint Cup Series event of the season, drops the green flag at 12:30 p.m. Sunday. 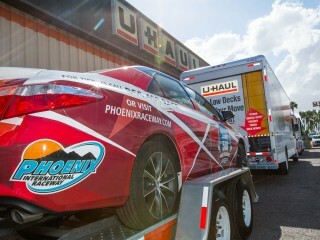 Visit phoenixraceway.com for tickets.